Mmmm doughnuts…. I pretty much guarantee that’s the thought you have when you see a box of freshly baked doughnuts. Just sitting there, looking all pretty.. and doughy, and sweet… mmm doughnuts.you know theres not much else that has such a positive reaction from people, except for puppies, but we are not here to talk about that, we are here to talk about our all new cocktail of the month! Yes we love doughnuts so much we just had to make a cocktail and put it in one. 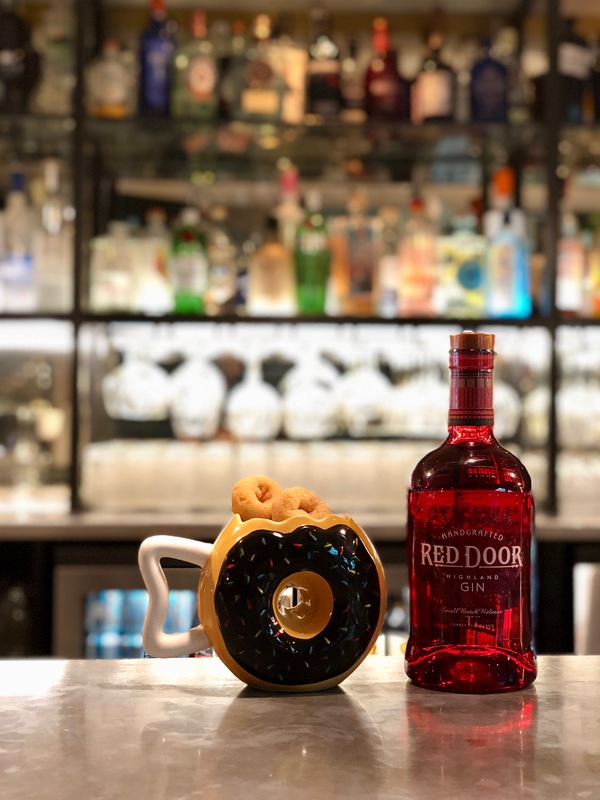 But that just got a bit soggy, do-not worry thought instead we have a fantastic looking doughnut cup for you to enjoy your drink from and we even include a tasty little doughnut as garnish! So this month if you fancy a sweet treat along with a tasty gin, be sure ask at the bar for the Gin Door-nut.